It’s morning, so you know what that means… It’s time to reopen the breakfasthole! (not in a gross way) Sam, Jack, and Kevin talk at length about the first meal of the day, including what they ate, what some of our listeners ate, some of our favorite breakfast foods, some in-depth historical retellings of breakfast throughout the ages in different cultures, and a long discussion about cereals. 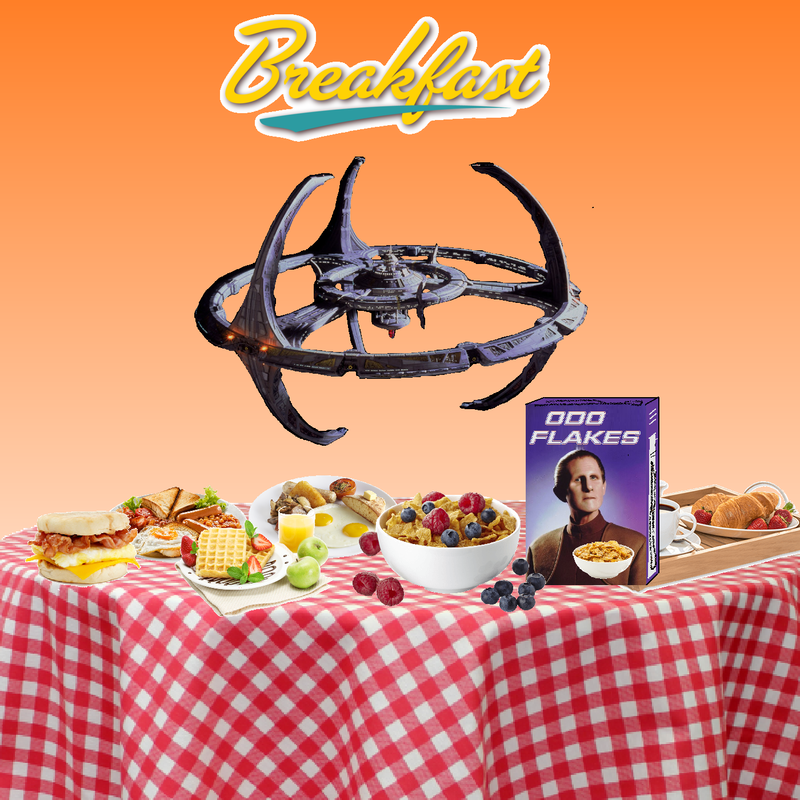 And just in case you think we forgot about you Trek fans, we’ll be discussing many of the most fun ways breakfast and Trek tie together (Trekfast?). If you are a human who eats breakfast, you’ll find something to relate to in this breakfast conversation. Listen to it at your favorite café with some coffee, eggs, and sausage, or whatever your breakfast of choice is. And just remember what Neelix says: breakfast is the most important meal of the day.